FRIDAY, Nov. 11, 2016 (HealthDay News) -- A simple blood test may one day diagnose concussions with more than 90 percent certainty, a small Canadian study suggests. This new test is unique, the authors said, because it looks for more than 100 markers indicating that a concussion has occurred. In the past researchers looked for a single marker in the blood to indicate a concussion, they said. "We were pleasantly surprised, when we looked at the pattern of metabolites [markers], that we could identify people who were injured with no other information and with greater than 90 percent certainty," said lead researcher Dr. Douglas Fraser. He's a consultant in pediatric critical care medicine at the Children's Health Research Institute in London, Ontario. 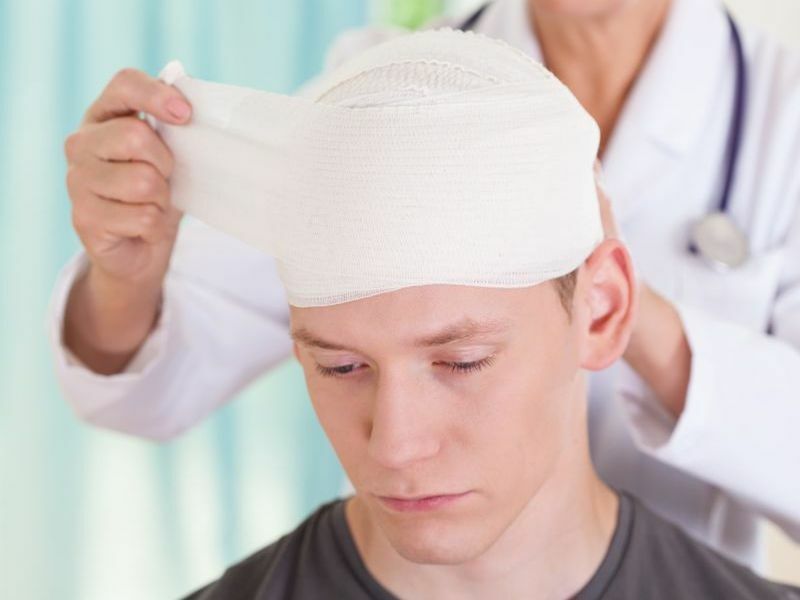 For the study, Fraser and colleagues looked for markers of concussion in 29 teen hockey players. Some had experienced a head injury. Others had not. But not everyone is convinced of the test's abilities. "It might have potential for diagnosis of concussion, but these are preliminary results with only 29 patients," said Dr. John Kuluz, director of traumatic brain injury and neurorehabilitation at Nicklaus Children's Hospital in Miami. The test will have to be validated in a lot more patients, according to Kuluz. Plus, he said, the test wouldn't need to used that often. "There are only a small number of patients where the diagnosis is in doubt," Kuluz said. "But in those cases such a test could be helpful," he noted. Diagnosis of concussion can sometimes be difficult, because it relies on seeing symptoms such as dizziness, headache, blurred vision, nausea and other overt problems, Fraser said. It is equally difficult to tell accurately when a patient's concussion has passed and they can return to normal activities, he said. "People have been looking for one or two proteins floating around in blood that are released from the brain after it's been injured," Fraser said. "But that approach hasn't yielded great results, probably because every patient is different and every injury is different. So it's probably a little naive to believe one or two proteins are going to give us the answer we need," he said. The research team honed down 174 markers to 20 to 40 specific ones that could diagnose a concussion with more than 90 percent accuracy, Fraser said. To accurately diagnose a concussion, the blood must be tested within 72 hours after suffering a head injury, Fraser said. The report was published in the Oct. 2016 issue of the journal Metabolomics. The hope for the test is that it could be widely available and inexpensive, so that it could be used in emergency rooms. In addition, the test could be used to assess healing, Fraser said. "It looks like these patterns stay abnormal for up to three months," he said. "There is a potential that following the profile over time, you can get accurate information about the healing process." The researchers are testing the validity of the test in other groups, such as the military, to see if it works in adults as well as teens. They are also developing a machine that can run the test quickly using a drop of blood. This study was funded by the Children's Health Foundation in Canada. The authors have filed a patent application for their test.